Courtesy of the Grant PUD Photo Archives. 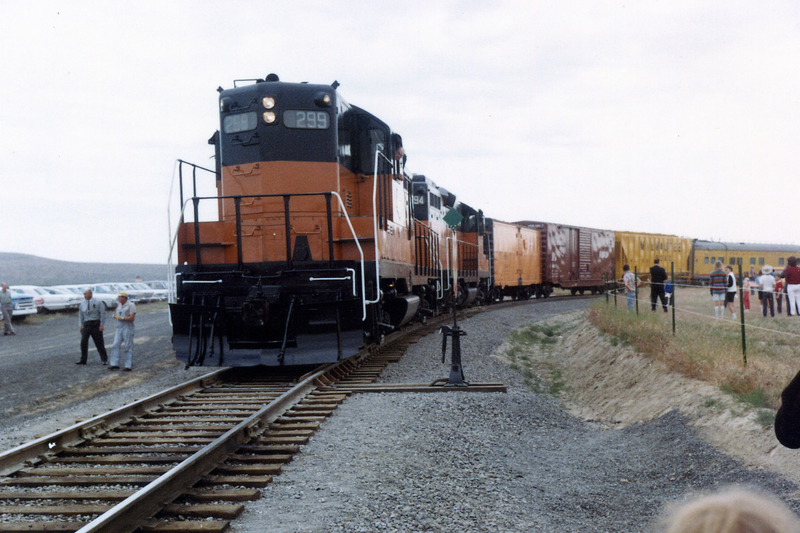 The first official train on the branch to Royal City was on June 10, 1966. The Milwaukee washed and waxed two locomotives and cleaned up a few of their newest type cars that would represent the type of cars that the products from the new branch would be shipped in and brought them out on a special train and had a Grand Opening ceremony. It had been decades since any new branch lines had been built on "Lines West" so it was quite an occasion and the Milwaukee Road traffic department probably milked it for all the public relations they could get out of it. The next day they probably started switching the line and brought out their usual beat up cars for spotting to load products at the various industries. 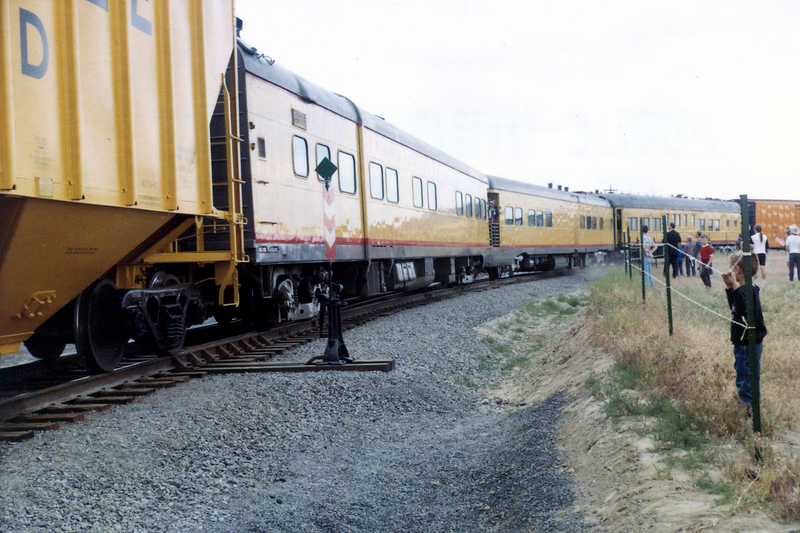 The Milwaukee Road sent out three of its named business cars for the opening train. Seen here are the “Milwaukee,” the “Montana,” and the “Washington.” All were likely stuffed full of railroad officials, invited guests, and stakeholders from the Royal City area.